I'd prefer that IE 6.0 not be supported any more from any vendor. There will always be a selection of people and companies who will not upgrade unless they have no other option. 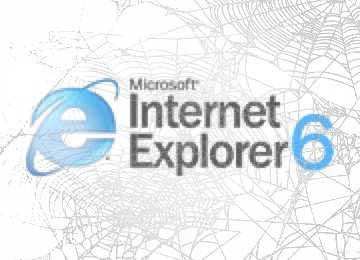 Continued support for IE 6 gives them that other option. Maybe you can do a survey to see how many of your customers really need IE6 support to make an informed decision? From me, I vote Yes to end support for IE6 after 2010. @Mac @sqrbox- We'll definitely listen closely to our customers to make an informed decision. We'll be as happy as anyone to see IE6 fade in to obscurity. Believe it or not, almost 8% of visitors to this blog (a site primarily visited by developers) still use IE6! 44% use IE7/8 to FF's 38%. According to the stats for my customer's sites, on average, 15% of their vistors are still IE6, which makes it their 4th most common browser... after IE8, IE7 and FF... and ahead of Safari, Opera & Chrome. It might be a hassle to add those extra IE6-specific hacks for it, but I can't just pretend it doesn't exist or demand people not use it.